Type 2 diabetes now affects nearly 7,000 young Britons. 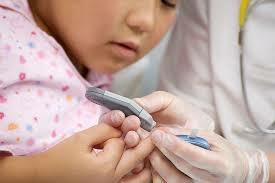 Young Britons under 25 and 7,000 children have been diagnosed with type 2 diabetes. This disease which is linked to obesity can lead to amputations and blindness. This strain of diabetes was unknown to young people in previous years. It was usually identified with white Europeans over 40 years old and Africa-Caribbean, black Africans or south Asians, after the age of 25. 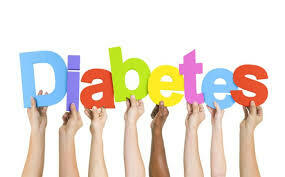 Diabetes UK published the new figures of 6,836 people under 25, being seen by hospital specialist for Type 2 Diabetes. This new data has produced higher figures than previously feared, said Prof Russell Viner, the president of the Royal College of Paediatrics and Child Health (RCPCH). He recognises the need to act and bring these numbers down but how? The first UK children diagnosed were girls aged between 9 and 16 in the year 2000. But now, with a ¼ of children overweight or obese when they start primary school, rising to a third by the time they leave at age11, we see how many more are developing this critical condition. If a young person gets Diabetes, the disease is more aggressive than if an adult contracts it. Further complications can stem from childhood diabetes including blindness, amputations, heart disease and kidney failure. Diabetes UK emphasises the need to encourage healthy living by issuing clear guidelines about nutritional values of products we are buying and protect children from adverts for foods high in fat, salt and sugar. The government needs to hurry up introducing measures such as curbs on TV adverts for junk food and supermarket promotions. Children need support with their lifestyle changes and these needs to be introduced quickly. Caroline Cerny, lead for the Obesity Health Alliance wants to see restrictions on junk food marketing before the 9PM watershed on TV and online, helping the nation to eat foods lower in sugar and calories, avoiding processed foods. Thus, in turn preventing so many young children developing potentially devastating diseases.